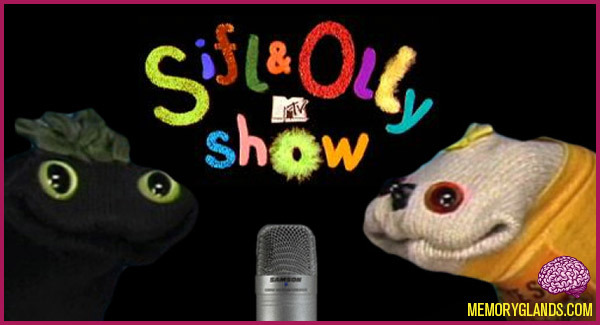 The Sifl and Olly Show is a comedy TV series that used sock puppets, animation, and music. Musicians Liam Lynch and Matt Crocco, friends since childhood, created and performed the series. The first episode aired on MTV in 1997. The show was cancelled in 1999. The characters, along with new material, currently appear on Liam Lynch’s podcast entitled Lynchland.